Prime Minister Narendra Modi launched commencement of work for India’s first Coal-gasification based fertilizer plant with pet coke blending in Talcher, Odisha. The coal gasification based fertilizer plant is being developed by Talcher Fertilizers Limited (TFL). The plant will be built at an estimated investment of Rs. 13,000 crore and is targeted to be commissioned by 2022. On completion, this plant will have capacity of producing 1.27 Million Metric Tonnes Per Annum (MMTPA) of Neem coated prilled urea using coal and petcoke as feedstock. Prime Minister Narendra Modi inaugurated new airport in Jharsuguda – also known as the powerhouse of Odisha. PM also flagged off the UDAN flight on Jharsuguda-Raipur sector. It is first airport in Odisha to provide necessary connectivity to Bhubaneswar, Raipur and Ranchi under Regional Connectivity (RCS)-UDAN (UdeDesh Ka AamNaagrik) Scheme. Jharsuguda is the second airport of Odisha after Bhubaneswar to become operational. It has been developed by Airports Authority of India (AAI) in collaboration with the Odisha government. President Ram Nath Kovind has inaugurated centenary celebrations of Dakshina Bharat Hindi Prachar Sabha (DBHPS) on 22 September 2018 in New Delhi. DBHPS is an autonomous body functioning under the grant from Union Government with aim to improve Hindi literacy among non-Hindi speaking people of South India. It is headquartered in Chennai, Tamil Nadu. DBHPS was established by Annie Besant in 1918 and Mahatma Gandhi was its founder President. India and Nepal during the 5th meeting of Boundary Working Group (BWG) held in Kathmandu have agreed to explore possibility of using high resolution satellite images in boundary survey work. BWG is joint body constituted by India and Nepal in 2014 to conduct works in fields of construction, restoration and repair of boundary pillars, including clearance of no-man’s land and other technical task. India and Nepal share 1,758 kilometres long border, fourth longest after Bangladesh, China and Pakistan. Scientists for the first time have successfully grown oesophageal organoids, miniature functional versions of human food pipe using pluripotent stem cells (PSCs) in laboratory. It will help to study birth defects. It may also lead to personalised diagnostic methods and focused in part on developing regenerative tissue therapies to treat or cure GI disorders. Union Minister of State for Parliamentary Affairs, Arjun Ram Meghwal on September 24, 2018 inaugurated the two-day National Orientation workshop on National e-Vidhan Application (NeVA). On the same occasion, Meghwal also launched the new website of the NeVA and administered the Swachhata Pledge to over 200 delelgates. NeVA, an Rs 739 Crore project, aims to bring legislatures on digital platform, covering all Houses. Nepal is set to become the first country in the world to double its tiger population as part of the World Wildlife Foundation’s (WWF) ‘Tx2’ programme which aims to double the number of tigers all over the world. Nepal had conducted a national tiger survey between November 2017 and April 2018 in the trans-boundary Terai Arc Landscape (TAL), a vast area of diverse ecosystems shared with India. 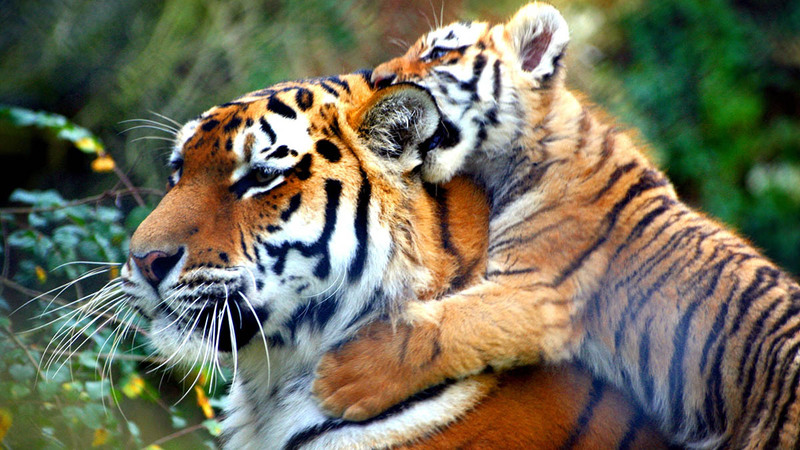 The survey revealed that Nepal’s tiger population rose to 235 from 121 in 2009. Pakistan on September 24, 2018 launched a massive nationwide anti-polio vaccination drive, which has been touted as the final push against the crippling disease to cover 38.6 million children less than five years of age. A country must have no cases for three consecutive years in order to be considered to have eradicated polio by the World Health Organisation. Pakistan is one of only three countries in the world, along with Afghanistan and Nigeria, which suffers from endemic polio, a virus that can cause paralysis or death. 1. Where will be the India’s first Coal-gasification based fertilizer plant constructed? 2. Which is the first airport in Odisha to become operational? 3. Who was the founder of Dakshina Bharat Hindi Prachar Sabha (DBHPS)? 4. With which country India agreed to explore possibility of using high resolution satellite images in boundary survey work? 5. Which of the following country shares the longest border with India? 6. Which programme is launched with aim to double the number of tigers all over the world? 7. For how many consecutive years a country must not have any cases in order to be considered to have eradicated polio by WHO? 8. How many countries in the world still suffer from endemic polio?